Is there anything more upsetting, annoying, or frustrating than accidentally losing a chunk of your work? It could happen for all sorts of reasons: accidentally closing an app, losing power in a storm, or maybe a simple software crash Windows 10 Crashing With a Blue Screen of Death? How to Troubleshoot It Windows 10 Crashing With a Blue Screen of Death? How to Troubleshoot It Did a Blue Screen of Death ruin your day? It comes without warning and it persists until you fix the underlying issue. We'll show you a few easy ways to troubleshoot your BSOD. Read More . If you’ve spent hours crafting a document, the last thing you want is to have to start from scratch. Luckily, Microsoft Office 365 now offers a way to auto-save your work How to Auto-Save Your Work in Windows How to Auto-Save Your Work in Windows How many times did you lose work because the file you were working on didn't auto-save? Never let that happen to you again. Read More . Best of all, you can turn the feature on or off using a Quick Access Toolbar icon, if you know when to look. Launch Microsoft Word, Excel, or Powerpoint. Locate the small downward-facing arrow in the upper left-hand corner of the screen. Click the arrow to expand the list of Quick Access Toolbar customizations. Slide the toggle into the On position. 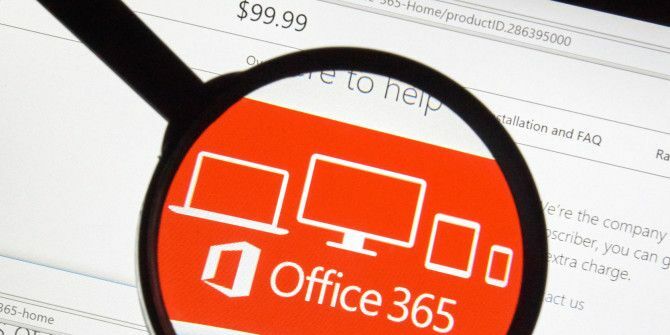 As of this writing, the feature is only available to Office 365 subscribers An Introduction to Office 365: Should You Buy Into the New Office Business Model? An Introduction to Office 365: Should You Buy Into the New Office Business Model? Office 365 is a subscription based package that offers access to the latest desktop Office suite, Office Online, cloud storage, and premium mobile apps. Does Office 365 provide enough value to be worth the money? Read More . Will you use this new Office 365 feature or is it too restrictive to be useful to you? As always, you can leave all your thoughts and opinions in the comments section below.